A Deck of 50-Questions to think about… answer… and discuss! Is that making us happy? Remember Sign of Enough® is a journey, it is not a destination, so you don’t need to try to find THE right answers. 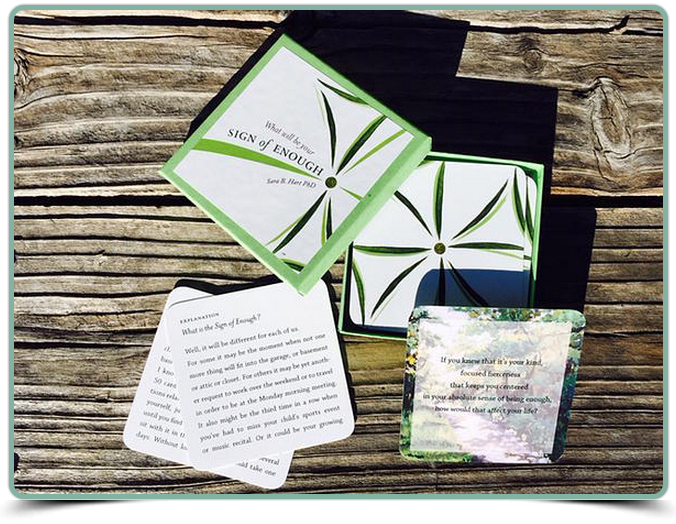 Order your own boxed set of the Sign of Enough® cards here for just $21.35 USD includes sales tax, shipping, handling in USA. Please contact me for international orders. The Sign of Enough® is a division of Heartcom.